The second store is slated to open in a former drug store. It’s within walking distance of the tribal shop. That location is within the boundaries of the city’s authority, but the shop will be allowed in spite of the ban following an out-of-court settlement reached late last year by the owner and the city in which the owner won an exemption against the ban. Both sides had been warring over the issue for the last three years, with plaintiff/ soon-to-be shop owner arguing the city had no authority to impose such a ban under Washington state’s marijuana law. The city won the case at the trial court level, but plaintiff appealed. A decision in that case was pending when the two sides reached an agreement: Plaintiff would be allowed to open his marijuana dispensary within city limits with designated zoning as “non-conforming use,” so long as plaintiff also agreed to pay the city’s $35,000 in legal fees. Deciding to settle, said the city manager, was a conclusion reached for a number of reasons. For starters, the legal battle was growing more costly. Meanwhile, the local Native American tribe was already planning to open a cannabis sales location nearby. Plus, other local communities that had not enacted such a ban had not seen the large spike in crime that so many detractors feared. With that settlement, the mayor and council have requested review of the still-in-effect ban by the planning commission. The group has been asked to determine whether the current rules need to be rewritten to allow other marijuana retailers to open shop as well. Ultimately, the final determination about whether to lift the ban lies with the council. If the ban is lifted, the city would be tasked with deciding what new rules, if any should be imposed on legal marijuana sales operations. Meanwhile, plaintiff plans to open his location in March. He anticipates his operation alone could generate an additional $150,000 for the city in tax revenue. 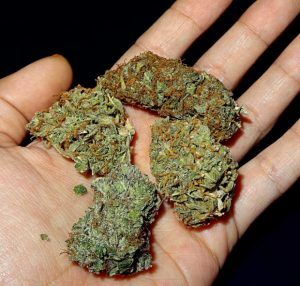 When the city first voted for the ban, state law in Washington declared that any marijuana sales tax revenue couldn’t be split with municipalities. That law has since changed. Taxes collected by the tribe, meanwhile, will be retained by the tribe for what it deems to be essential government services. The tribe also operates a hotel, a casino and a handful of other businesses throughout the city.